Hair may have been shedding or damaged before the install. was the hair colored or relaxed right before it was installed? 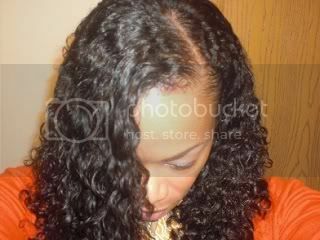 She should focus on her natural hair prior to the install. Make sure she combats shedding and breakage. When I transitioned from relaxer to natural with weaves as protective styling I deep a clarifying shampoo and followed with Aphogee 2 step protein treatment and intensive heated deep conditioning between installs. I would trim every 2nd install and make sure to baby and nuture her natural hair under the weave with weekly deep conditioning. Also make sure her braids aren't too tight as well as the stitching process to create undue tension.